Hi guys! I can’t believe it is Wednesday already. We have been trying to get our routine back in order after last week. Not, that we have a real strict routine, but it is nice to have a little consistency in our home. Lol. As you all know, we have had ear infections, sinus infections and pneumonia going on here. Everyone seems to be getting better though. WH is feeling much better. He is still tired, but not as much as a couple days ago. We we’re finally able to get some Thinking Tree journal time in and we read some more books together. LH and WYH worked on some math too. WH has mostly been working on some independent things with his journals and watching documentaries. WYH, LH and I tried to build a gingerbread house yesterday. It didn’t go so well. Lol. The icing just didn’t hold strong enough and well, here is the final result. Lol. It was so fun though. All three of us had fun making a mess, eating the candy and watching it crumble. Lol. LH had his gymnastic exhibition this past Saturday. He was so nervous about it, but once he got to the gym and with his coaches and teammates he calmed down and did amazing. He loves it so much. We love watching him too. Howdy! Have you started your Thanksgiving break yet? We did today. The boys decided to work hard Monday and get all their work done and then a Christmas play on Tuesday and that was it. It was a cute play called, “Where’s Rudolph?” The producer actually wrote the play and was very proud of it. The cast were all kids and they were from kindergarten age to eighth grade. It was an anti bullying theme. They did a great job and we all really enjoyed it. Today we are getting the house cleaned up and some baking done for tomorrow and then hopefully some time to just relax. Tomorrow we will go to my grandmother’s for a big Thanksgiving dinner. We usually go to my Aunt’s house after, but it will be strange this year because she passed away in August and we won’t be having that dinner tomorrow night. Although it will give us more time to relax at home…it will be a bit sad and odd not to go there. Author huntshappyhomeschoolPosted on November 22, 2017 Categories UncategorizedTags dinner, family, fun, Thanksgiving, theater, what's up Wednesday, working mamasLeave a comment on What’s Up Wednesday! Wow, its Thanksgiving week already! I love Thanksgiving. Its a time to reflect and look at your life to see and remember what you are truly thankful for. It’s a time to take a break, relax, and to enjoy eating together. I really hope, especially if you have been stressed or just had a rough year, that you can take some time to look back and write down some things that happened that you are truly thankful for. Write it down even if its just one small thing. Tuck it away in your Bible, a book you are reading or are going to read. Stick it somewhere you will find it unexpectedly one day, put it in a scrap book or make it look pretty and frame it so you can see it and think if it often. Just remember it. Remember the good things, look beyond the sad, hurtful, mad and frustrating times and find the happy memories. Think of times you may have helped others. Maybe you were able to bless someone with a gift or even just a smile. Remember the good times. Rememeber to be thankful for all you do have. Most important remember to love and to accept love. We are all worthy of love and that is what this whole Thanksgiving and Christmas season is about. Make sure to join us for our Review/Interview and Giveaway on our Facebook page today at 12:15 EST! We will be showing you the KidArtLit box that we got to try and talking with Julia who is the cofounder of KidArtLit. It is going to be a fun time and one of you will win a KidArtLit box of your very own! I hope you join us to learn more about how to bring more art and literature into your home. If you want to go straight to their page to get your subscription started, here is the link for KidArtLit! Don’t forget to use our special discount code: HHHschool20 to get 20% off of one months box, good for new and existing subscribers can only be used once. Don’t forget to come check out our Facebook Live tomorrow! We will be showing you a KidArtLit box the boys and I did. Julia, the cofounder of KidArtLit will be with us to answer some questions and show us another box . 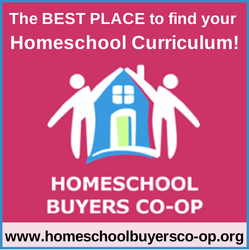 I hope you can come join us welcome our first guest to Hunt’s Happy Homeschool! KidArtLit has graciously made a coupon code for my followers and they are allowing me to give away a box too! Like always, we will have our live post up for 24 hours for you so, if you can’t make the live show you can still get in on the giveaway. Make sure to comment or ask a question, those are how you are entered. 24 hours later, I will post the winner! Please, please share share share! 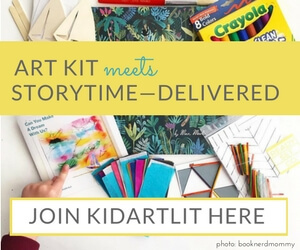 Let’s help KidArtLit have a really successful business helping kids and moms and dads have easy access to art, literature and family time! Author huntshappyhomeschoolPosted on November 15, 2017 Categories HomeschoolTags art, challenge, children, classical, culture, easy, encouraging, encouragment, family, flexible, fun, fun school, giveaway, help, home, Homeschool, inspire, kid, kidartlit, learning, life, literacy, mamas, mom, reading, skill, skills. 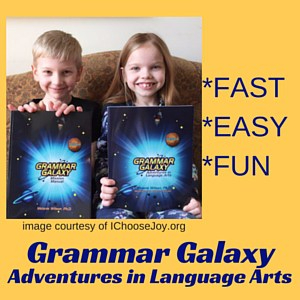 kids, working mamasLeave a comment on KidArtLit Review/Interview/Giveaway!